Wooden Door, Taos, New Mexico (Infrared) ©2016 James D Peterson. An iconic scene in a frontier town comes alive on a late summer afternoon. 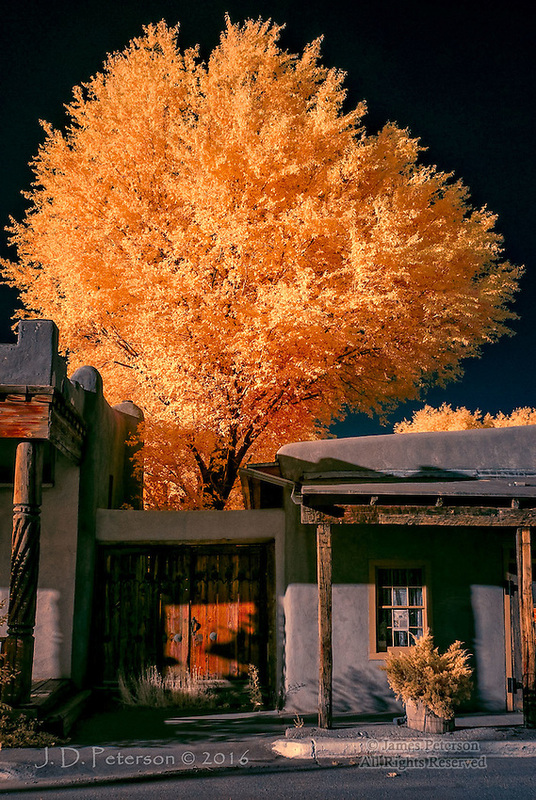 The unreal colors of this infrared image bring a new light to these classic buildings.